(Thought I would share the introduction to my new novel. Would love to get your feedback on it. What do you think of the concept? Does it work for you? The extraordinary document you are about to read was purportedly written by Abraham Lincoln in the last month of his life. How, I came by it, is now well known in most circles, but for those of you unacquainted with the details, I will give you a brief run down. I have been fortunate enough to procure several rare documents on eBay over the years. Among them an 1822 paper detailing the autopsy of Napoleon Bonaparte written by his physician; a letter from George Washington, written during the darkest days at Valley Forge, suggesting to Congress that they should surrender the cause; a 1789 printing of the Declaration of Independence, printed side by side with Jefferson’s original notes, and beside it, an actual autograph by Thomas Jefferson. But, this is by far, my most amazing discovery. Note: Inscription on inside cover dated – March 15, 1865. A.L. The letters, A. L. got my juices flowing. Lincoln signed most of his correspondence A. L.
Ever since the assassination there have been rumors of a Lincoln autobiography, but to my knowledge no one has ever laid eyes upon it. After acquiring the document, I showed it to several Lincoln experts. Like all experts, they were divided on its authenticity. Three of them said there was no doubt, that it was real. Three more, said the facts were incorrect in several places and the writing although very much like Mr. Lincoln’s, it could not be proven conclusively. The date on the inscription was April 15th, the Great Man’s last day upon this earth. That, coupled with Mary Lincoln taking note of Booth in the audience, listening to Lincoln’s last speech is amazing enough. 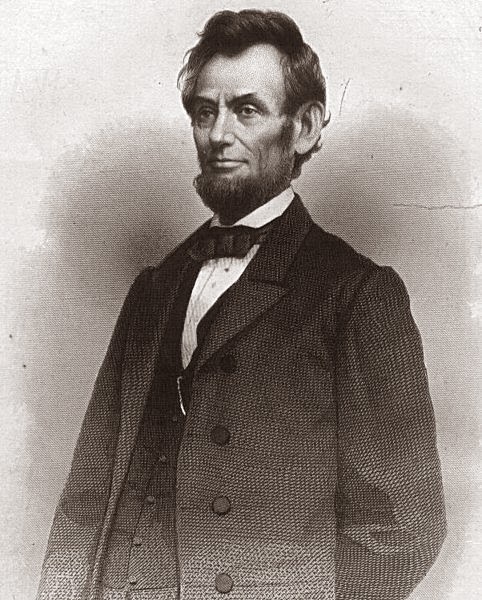 As I read on, Lincoln shared in great detail three separate attempts upon his life. His descriptions of his contemporaries are scathing; his faith in Grant, unshakeable; the details on some of the battlefields he visited – graphic and gory. More startling, are his accounts of meetings with J. Wilkes Booth, at several White House receptions, early in his administration. If only half of the information in this manuscript is accurate, it could cause a rewrite of the Civil War as we know it. This illustration is one of several depicting Abraham Lincoln, and the Baltimore Plot (the supposed attempt to assassinate him before being inaugurated in 1861). Rumors ran across the country that Lincoln snuck into the capitol city under cover of darkness, disguised in a Scotch cap and cloak. 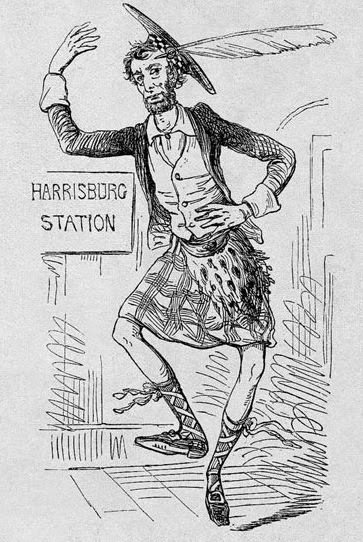 The cartoon pictured in this article was originally published in the March 9, 1861 issue of Vanity Fair.